Have you ever had a Portuguese seafood stew? If not, you’re in for a treat today because I made a Portuguese seafood stew recently that is absolutely TO. DIE. FOR. I’m talking a time-stopping sort of epic deliciousness that will make you weak in the knees. Now there are many types of Portuguese seafood stew and basically, they’re all good. You really can’t go wrong with any of them. I mean what’s not to like about fish and shellfish in different combinations with classic Portuguese ingredients like linguica, chourico, tomatoes, different wines, vinegars, fiery peppers, garlic, onions, herbs and spices? The recipe I made was for a Portuguese clam stew which I adapted from a recipe in the fantastic cookbook, Provincetown Seafood Cookbook by the legendary chef, Howard Mitcham. Originally published in 1975, the book was given a second life recently with an updated introduction by the late great Anthony Bourdain. 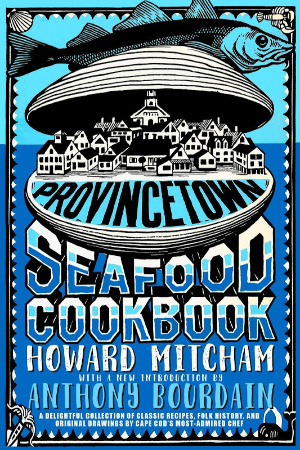 Find The Provincetown Seafood Cookbook here. This book quickly became my all-time favorite seafood cookbook. Not surprisingly, my favorite chapter is the “Beautiful Soups and Stews” chapter which showcases classic New England dishes with a wide variety of ethnic influences. 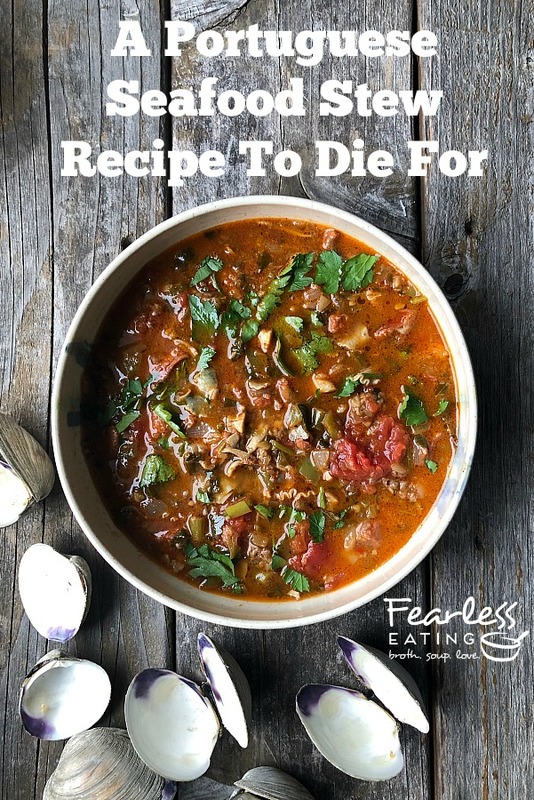 But it’s not just the recipes but also the history and colorful stories of the fishermen, chefs and everyday people of Cape Cod and their deep love and connection to the sea. A big part of that history is influenced by the Portuguese who immigrated to Massachusetts in large numbers in the late 19th century to work in the fishing industry. This is the recipe I made and adapted below. Basically, I simplified it a little (Mitchum’s recipe is quite complex) and added and subtracted a few different ingredients that my intuition said would work. But I also made one important change that I think even Mitcham would approve of. I used clam broth as a base instead of fish stock. But not just any old store-bought clam broth. Now don’t get me wrong. You can use canned clams and bottled clam juice. It will still be a delicious recipe and it will certainly simplify things. If you choose this route, I would recommend Bar Harbor brand clam juice and canned clams. Both are about as good as you’ll get in the world of packaged clam products. That said, there’s a difference between delicious and TO DIE FOR DELICIOUS. 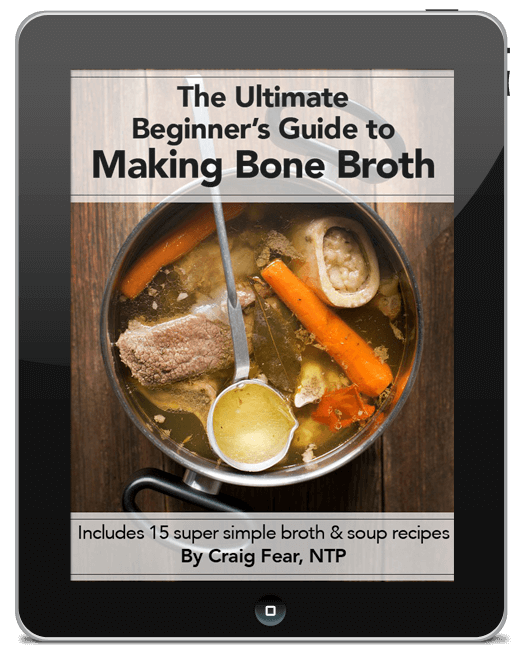 I’m telling you it just elevates things to another dimension when you make your own clam broth. That salty and briny flavor will infuse the stew with a beautiful background flavor of the sea. It’s why I love this recipe so much. And the clams themselves, if you make them properly, will be less rubbery and of course, fresher tasting than canned clams. You could steam the clams in the stew itself however, you risk getting some of the sand and grit from the shell into the stew. That’s why I do it separately. Littlenecks are the smallest type of hardshell clams and are the best to use for this Portuguese seafood stew. Larger hardhsell clams like cherrystones and quahogs are better for chowders but you could use them too. You’ll want about 12 littlenecks per person. That would equate to about 6-8 cherrystones or 4-6 quahogs, depending on their size. To steam littlenecks, simply put about 1 – 1/2 cups of water in a 5-6 quart stock pot, bring it to a boil and then put the clams in the pot and cover the pot. They’ll take about 5-10 minutes to open. Stir them around once or twice in the first few minutes to steam them evenly so they open around the same time. The liquor/juice inside the clams will release into the water and give it a packed punch of briny flavor that is just so delicious. But remember, once they start to open, remove them right away. They get tough fast if you overcook them by even a minute so you have to watch them closely. Pick them out with some kitchen tongs if they open at different times (which is likely) and set them aside to cool for a few minutes. Strain the clam broth from any bits of sand and grit and reserve it. When the clams are not too hot to touch, remove the clam meats from the shells. Chop the meats into smaller pieces if you want. Personally, I like to add them to the stew in whole form but that’s just me. 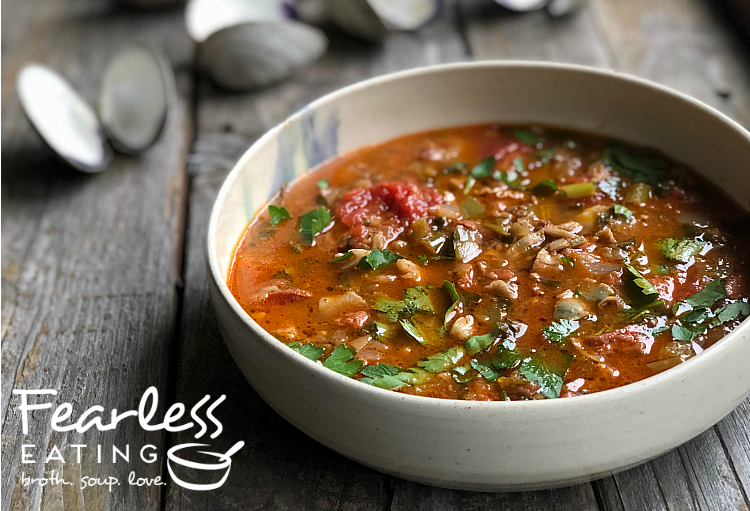 Adapted from The Provincetown Seafood Cookbook this classic Portuguese seafood stew features fresh littleneck clams, clam broth, tomatoes, chorizo sausage, white wine, onions, peppers, garlic and fresh herbs and spices. If using fresh whole clams, remove as much sand and dirt as possible from the outer shells by rinsing and scrubbing. Then soak them in water for about 15-20 minutes to remove sand from inside the shells. Add about 1 ½ cups water to a 6 quart stockpot and bring it to a boil. Add the clams, cover and remove once the shells open, about 5 - 10 minutes. Strain the clam broth and reserve. 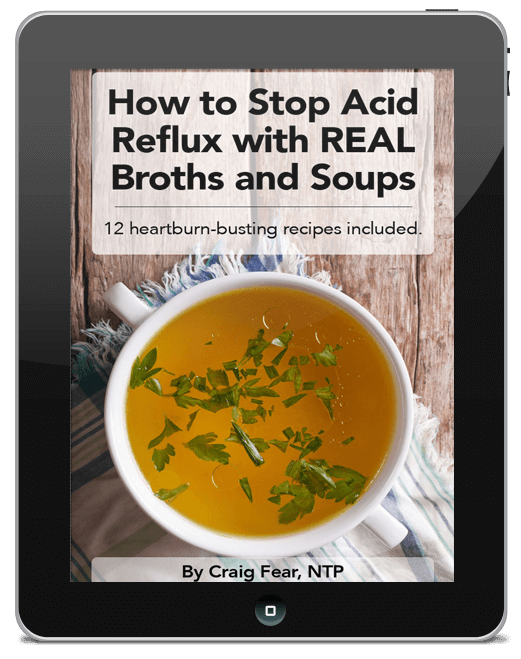 You’ll get about 2 ½ cups clam broth give or take a half cup either way. Let the clams cool for a few minutes and then remove the clam meats and chop, if desired. If using canned clams, simply strain the clams from the juice and reserve the juice. You’ll get about 1/2 cup of clam juice per can. You may need to purchase some additional bottled clam juice to be added to the stew. Melt butter over medium heat in a 5-6 quart stock pot and add chourico sausage. Saute about 5 minutes, until lightly browned. Stir often to prevent burning. Add shallots, scallions, pepper, garlic, mushrooms and spices and saute another 5-7 minutes, stirring often. Add white wine, raise heat slightly and simmer for a few more minutes. Add tomatoes, vinegar and parsley, stir and mix well with other ingredients and simmer for a few more minutes. Crush and mash whole tomatoes with a potato masher or some kitchen instrument to break them apart a little. Add 1 cup clam stock and simmer another minute. Taste and add another cup of clam stock, if desired. Continue simmering until desired consistency of the stew is reached. Continuing to simmer it will evaporate the liquid and make it thicker and richer. Add clams, stir in and serve immediately. Ladle stew into individual bowls and add optional seasonings, to taste. Serve with a side of bread and butter of your choice.